Total votes: 20. This poll has been closed. 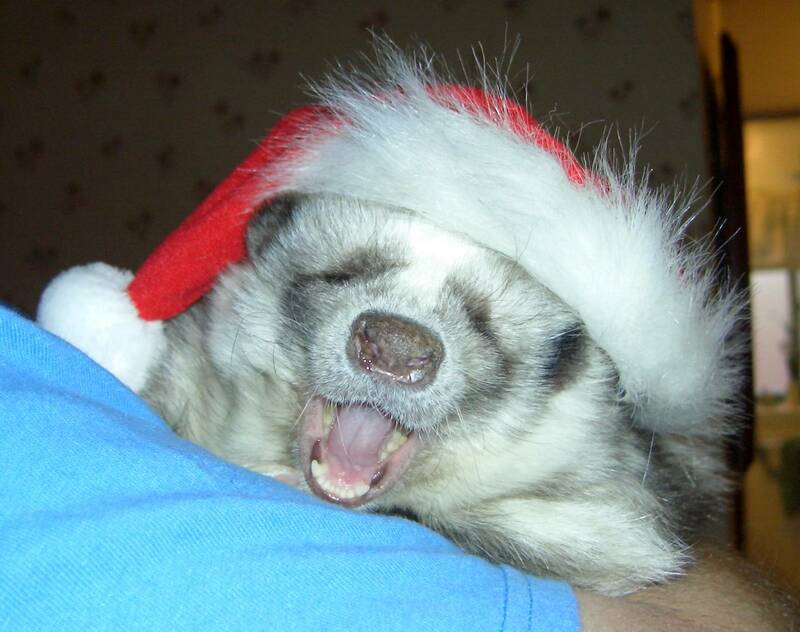 How about a contest for skunks dressed up in their finest holiday gear? First prize is a $25 gift card. Post your picture below along with your skunk's name and your last name. 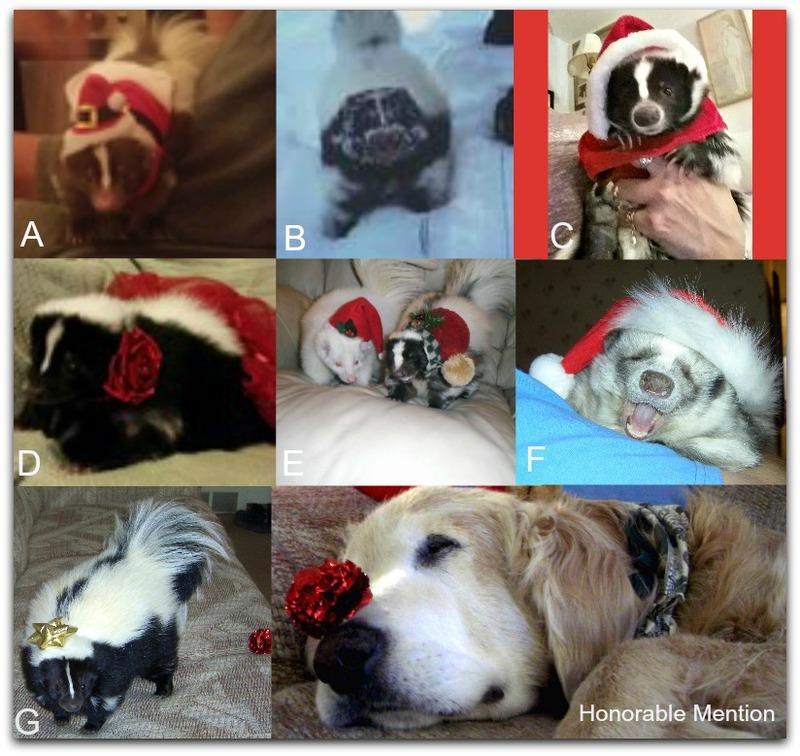 On Wednesday we can vote for the cutest Christmas themed picture. Please limit 1 picture per skunk. Only post pictures of skunks that you own or owned in the past and you must own the rights to the picture. Here are the contestants, roll down for full size pictures. Voting is open today and tomorrow so make your choice now. The winner will receive a $25 Visa gift card. The winner is picture C, Maxine Lowell. That's a cute idea! Wilson would probably be my only candidate. But I will give it a shot! Please post your entry for the contest here. 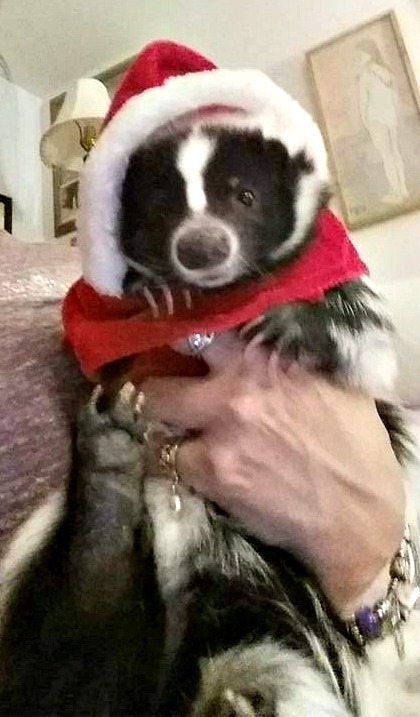 I can't be the only skunk owner who dresses up their little stinkers! Christmas Contest entry, Cocoa Aymar. 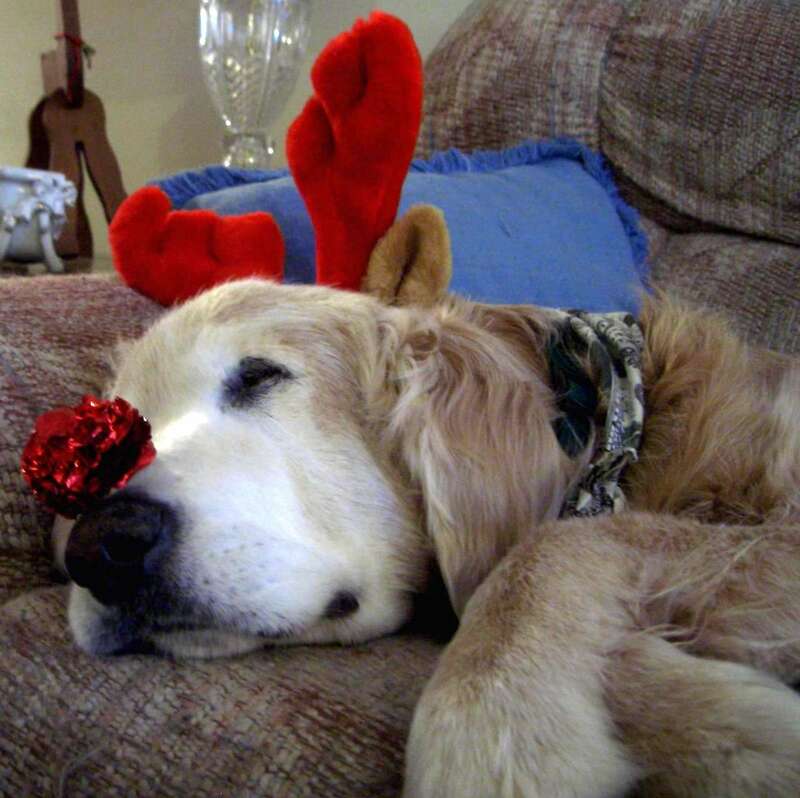 Not a skunk, but our adorable golden retriever, Copperfield masquerading as Rudolph. I love all the pictures so far! 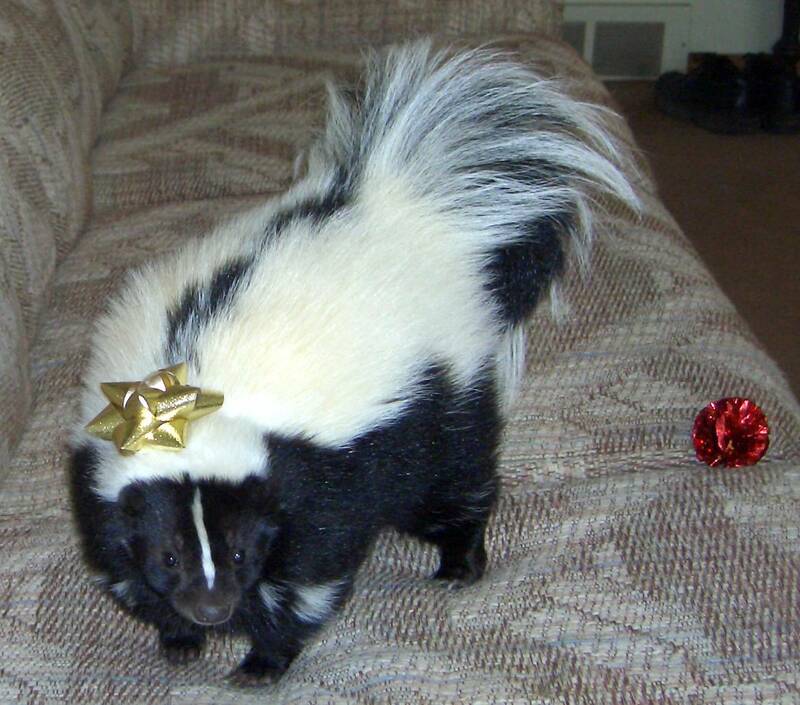 I do not have a skunk that will cooperate.